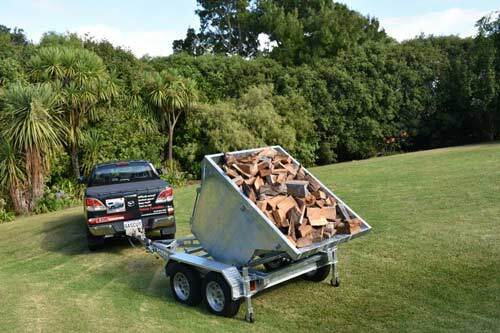 The U-Tip Trailer is a multi-purpose tipping trailer. 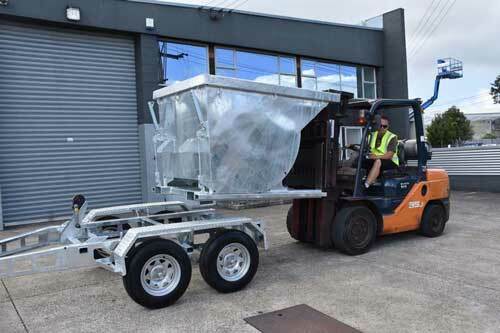 The bin’s smart design allows loading and unloading in a controlled manner with minimal effort. 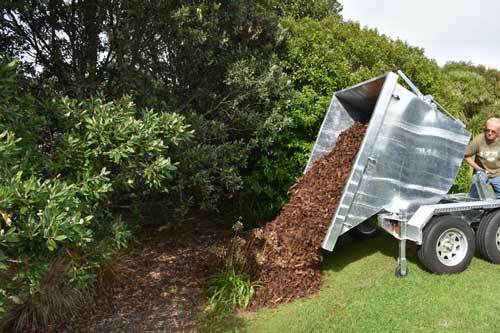 The bin can be positioned at any angle within the 90° of rotation. 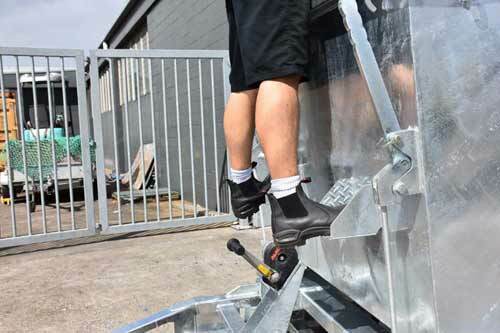 The base is secured with locking fingers and two safety clamps. 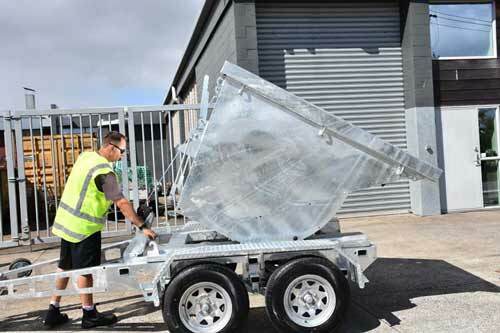 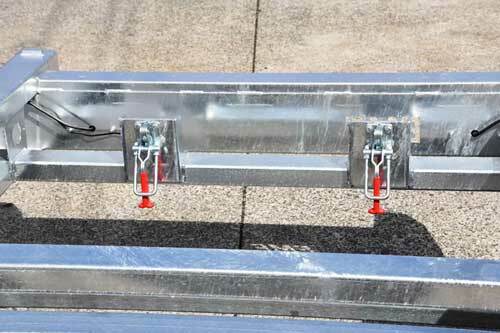 The trailer chassis can be used for other attachments, such as a flat deck or water tank.